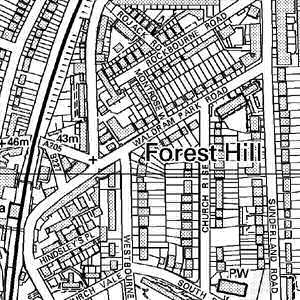 The name 'Forest Hill', invented by a developer in the 1790s, was an accurate description of the natural featues of the area. At first it applied only to what is now the northern three-quarters of Honor Oak Road, then an isolated wood on the northern edge of Sydenham Common, through which the developer had just driven the road. Fifteen or so large houses were soon built there. Expansion became possible with the passing of the Lewisham Enclosure Act in 1810, but at first the address of the new houses in London Road and Dartmouth Road was just 'The Common'. The spreading of 'Forest Hill' began in the 1840s, encouraged by the decision in 1845 to change the name of the station from Dartmouth Arms to Forest Hill. Honor Oak, the new name eventually acquired by the original Forest Hill came from the fact that Queen Elizabeth I had picnicked at One Tree Hill on May Day 1602, by an oak tree that became known as the Oak of Honor in memory of the event. 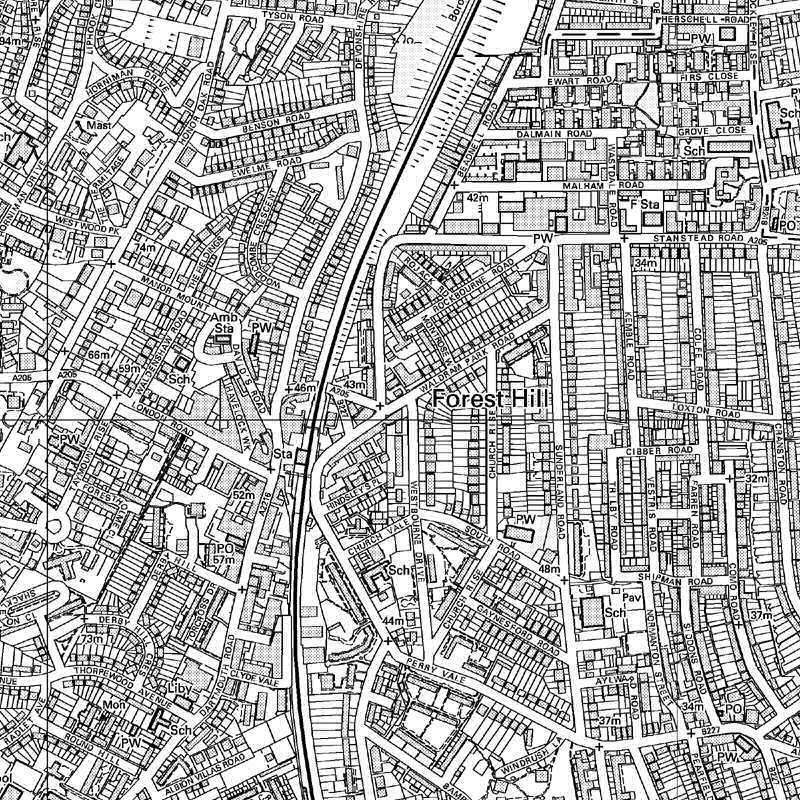 The Croydon Canal was cut through the area in 1809, but was not a commercial success, mainly because there were so many locks to be negotiated. The London and Croydon Railway Company bought the canal and constructed their railway along more or less the same route. The Dartmouth Arms station (named after the nearby pub) was opened in 1839. This encouraged the building of substantial houses for merchants and professional men who wanted to live in a rural area with an easy journey to London. These included a large community of Germans who had their own church in Dacres Road. The relocation of the Crystal Palace from Hyde Park to Sydenham encouraged luxury development in western Forest Hill to an even greater extent, but the area east of the railway was mainly built up with more modest houses after railway fares became cheaper late in the 19th century, and the electric tram service reached Forest Hill in 1908. One notable resident of Forest Hill was the tea merchant Frederick Horniman. On his travels abroad he acquired items relating to local cultures, and built a museum to house the collection. He donated this museum and its gardens to the public in 1901.